C*4 presents "CTL 11: POINT BREAK" - Season 11 Finale! 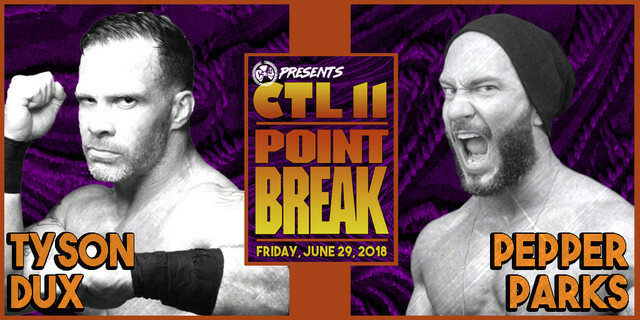 Capital City Championship Combat Fan Community > C*4 Fan Community > C*4 Discussion (Moderators: Matt Fortune, RotchyKongISW, C*4) > C*4 presents "CTL 11: POINT BREAK" - Season 11 Finale! #C4CTL11 - Main Event signed! Let's get crazy! Last month, before a record setting crowd in our new home, St. Anthony's Hall , C*4 Champion "Diamond Tiger" Kobe Durst managed to successfully retain his Championship against all odds. Durst defeated former Champion, "Walking Weapon" Josh Alexander, as well as fan favourite Matt Angel, and the debuting Eli Everfly. Following his performance, C*4 Management was set to grant Matt Angel a singles opportunity for the Championship on June 29th. However, over the last several days, we received word that Angel had suffered an injury and would not be cleared to compete in time for the date. When Durst heard this news, he told management that he was open to defending against al competitors. Not only that, but he claimed he would do the impossible, and defend the Championship against three challengers for the second time in as many months. So once again.. Durst will defend..... And maybe, this time, he has bitten off more than he can chew. VIP and GA Tickets available at VERTIGO RECORDS (193 Rideau Street, Ottawa). GA Tickets available at Otherside Tattoo (561 Gladstone Ave.) and The ODDs & SODs Shoppe (1527 Merivale Road) . Re: C*4 presents "CTL 11: POINT BREAK" - Season 11 Finale! #C4CTL11 – Brothers set to Battle! Since the beginning of C*4, the Super Smash Brothers have been just as known for being partners as they are for being rivals. They have collided several times over the years, and each time it has become more and more heated. Last June, Uno turned his back on Grayson, and aligned himself with Twiggy, “The Beast King” FTM, and “Diamond Tiger” Kobe Durst. While that alliance seems to have fallen apart following the Last Battle of Vanier, Uno’s war with Stu continues. GA Tickets are available at VERTIGO RECORDS (193 Rideau Street, Ottawa), Otherside Tattoo (561 Gladstone Ave.) and The ODDs & SODs Shoppe (1527 Merivale Road) . 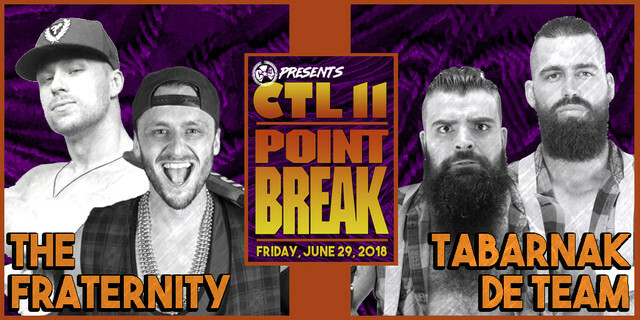 #C4CTL11 – Massive Tag Team match added! Last month, in what many have called a huge upset, Channing Decker and Trent Gibson, The Fraternity, defeated the team of LAX, Angel Ortiz and Santana. The match was violent and intense, but in the end it was The Frat left standing tall. Decker and Gibson told C*4 Management that they want to prove they are the very best team in the promotion… and issued a challenge to one of the top teams ever in the company’s history… TDT. Mathieu St. Jacques and Thomas Dubois were more than willing to accept the challenge from the duo, and at the same time, perhaps knock the cocky Frat boys down a few pegs. Despite coming off a loss at #C4TheyLive due to some strange circumstances, Dubois is heading into this match looking to prove that he is focused on the task at hand. And no doubt, St. Jacques will be ready to deliver like he always does. This match will be one that you do not want to miss! 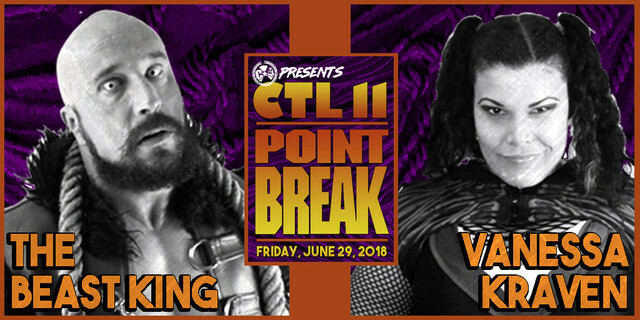 #C4CTL11 – Kraven collides with The Beast King! In under two weeks, we present our 11th annual Season Finale event, “Crossing the Line 11: Point Break”. Today’s announcement concerns a heated rivalry that has been building all season… and looks to come to an explosive conclusion on June 29th! FTM, the former Franky the Mobster, has been known as one of the most intimidating talents in the C*4 locker room. His alignment with Twiggy, Evil Uno and Kobe Durst over the last twelve months made him even more of a threat to the entire lockeroom. Over the last several months, Vanessa Kraven became a target by Twiggy and his dogs of war… Attacked, assaulted, and even the victim of a suspension, the last year has not been the season Kraven likely had envisioned for herself. Well, on June 19th, Kraven gets what she has asked for several times… a chance to go one-on-one with FTM. Something tells us that FTM is just as eager for this battle! #C4CTL11 – Underground Championship Open Scramble! Time is flying by as we race toward #C4CTL11, our eleventh season finale event! 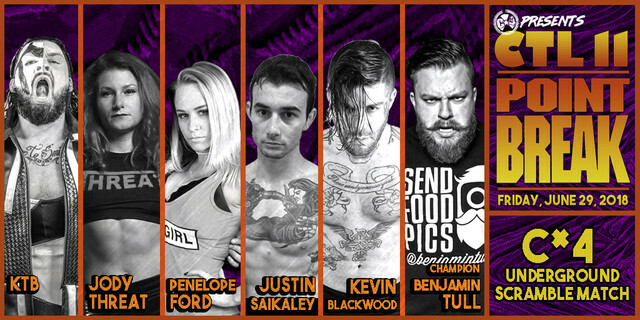 We’ve got a WILD match set to announce right now… C*4 Underground Champion, Benjamin Tull, has made it clear that he is ready to defend his title against any and all comers. On June 29th, C*4 will put him to the test. 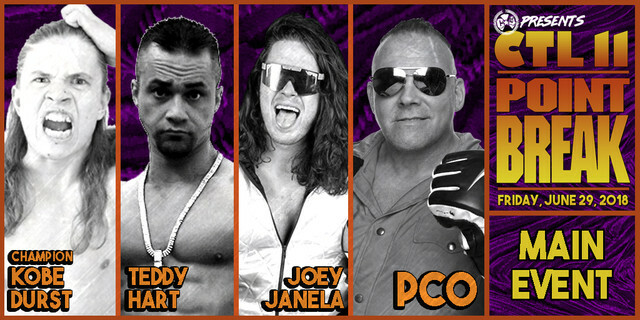 We are excited to welcome five opponents who are all gunning for the Underground Championship. An undefeated Beast, a Bad Girl, a local high flying innovator, a young up and comer looking to make her mark, and an upstate NY standout ready to conquer C*4. This will be fast-paced, high flying, and high impact. You do not want to miss this match! #C4CTL11 – More card news! Dux vs Parks! 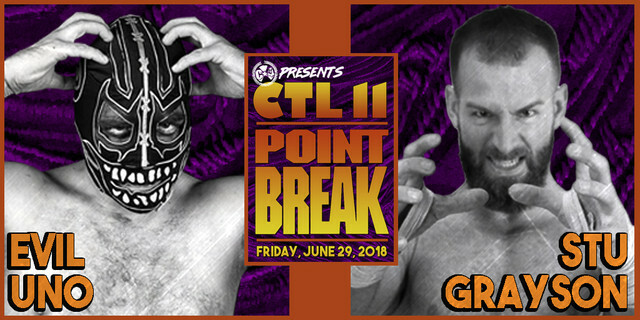 We’ve been announcing lots for next Friday’s #C4CTL11, and surprise, we’ve got one more match to tell you about for this week. Little needs to be said about this one. Two of the most respected and talented veterans on the independents today will collide. One man, the man who turned his back on C*4 last season, and is still looking to find his spot in the ranks as this season wraps. The other, a man who has only competed in C*4 once before, looking to make a major impact in his first ever one-on-one match on the roster. This match features to vets who can, and will, put on a clinic. And two men who absolutely both feel they must win this match! 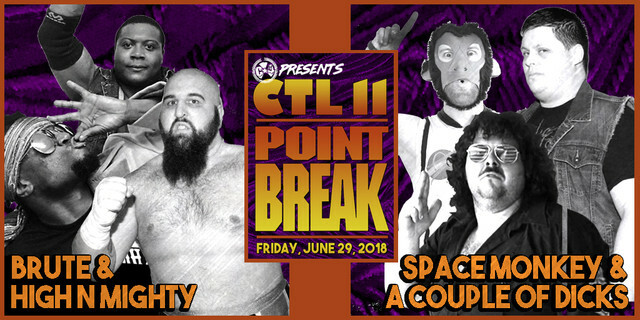 #C4CTL11 – Full Card Set! Tornado Tag Team Action! Double Grudge Six Man Tag! Sheldon and MVP back in the ring! This Friday night!! This Friday night, we wrap-up our amazing 11th Season of the very best in Canadian professional wrestling! Following the win last month, C*4 Tag Team Champions, Fight or Flight, will defend their championships against the team they defeated, Heavy Metal Chaos. Following the loss by HMC, they complained to C*4 management over what they believed was a controversial finish to the match, where the illegal man made the pin. Well, this Friday, there will be no controversy. 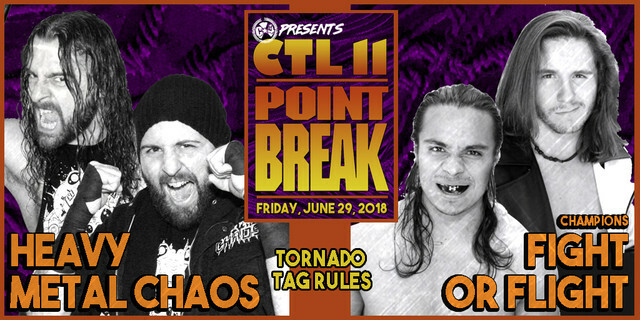 At #C4CTL11, it will be a TORNADO RULES MATCH! No Tags! One fall to a finish! Next up, a six man tag team match, that needs little explanation for anybody who has been following C*4 this year. Two rivalries that have gone on all season, will be combined into a wild six man tag team match! And finally, the relationship between Michael Von Payton and Sheldon Jean has been an odd one this year. 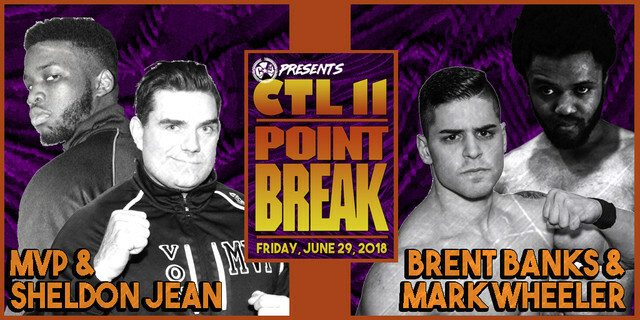 Jean has never been pinned in C*4… and on June 29th, he will be paired with the man who has been at odds with him since his debut. A man who oddly enough, requested the partnership with him for this him. Their opponents will be two men who would like nothing more than to get an opportunity even with Jean and MVP… Mark Wheeler and Brent Banks! Arrive early to see the premiere episode of “Before C*4”!